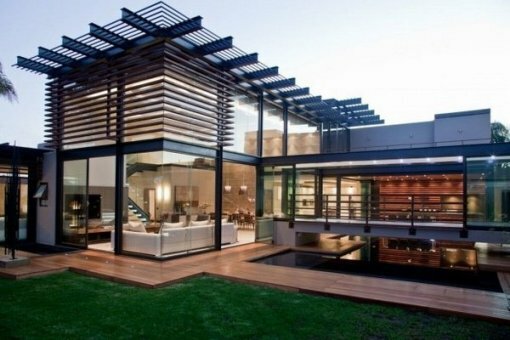 The prefabricated houses have been more popular throughout the years, although still a much more common phenomenon in territories like the United States or Canada. This type of housing is an attractive alternative in the current real estate market, where the crisis has made numerous havoc and where buying a traditional home is still very complicated. Prefabricated houses, which are usually more economical and environmentally friendly than traditional ones, can be found in different materials, such as wood, steel and concrete. The prefabricated steel houses are modular homes. These modules are manufactured by sections and are subsequently sent to the place where the house is going to be located, finishing the assembly in the own plot. All this encourages that the time of manufacture of the house is much shorter than in the traditional houses. There is a wide range of possibilities in terms of structures and designs, from designs more risky to other more typical; this allows us to a great customization of our home, depending on our budget and our needs. We live in a moment in which there is a great mobility by work issues, therefore, to be able to have a house that we can change from one plot to another, is a great advantage to take into account. Prefabricated steel houses are light and resistant, so we can transport them even years after the first construction. One of the most important advantages of prefabricated steel houses is that these are long-lasting thanks to the proper material, which does not deteriorate over time. Over the years, this type of housing built in steel does not usually suffer damage and cracks; as well it can happen with structures made with other materials like the wood, which may suffer attacks of insect pests or fire. The fact that these are more enduring also makes them more economical to maintain. In a traditional house it is complicated to add spaces without the need to do works, however, prefabricated steel houses, being modular, allow that, over the years, we can make modifications and additions, so it is not a closed project, but it can go evolving and transforming itself to make it our own needs.